Registration is now open for the 2018 SOA Annual Conference, 50 Years of New Frontiers. Early Bird Registration: Pricing for early bird registration ends April 30, 2018. Beginning May 1, $5 will be added to the cost of each registration level. Registration for the Thursday Evening Mixer CLOSES April 30, 2018. 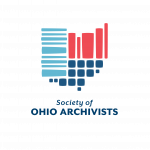 For more information about the conference, please visit the Annual Conference page on the Society of Ohio Archivists website (www.ohioarchivists.org). This entry was posted in SOA Spring Conference on March 15, 2018 by Andrew Harris.